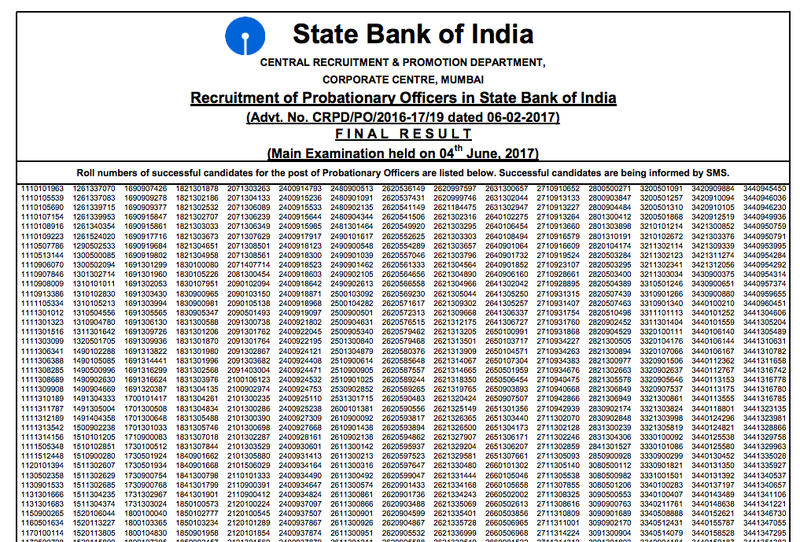 State Bank of India has declared the result of SBI PO 2017 Examination. 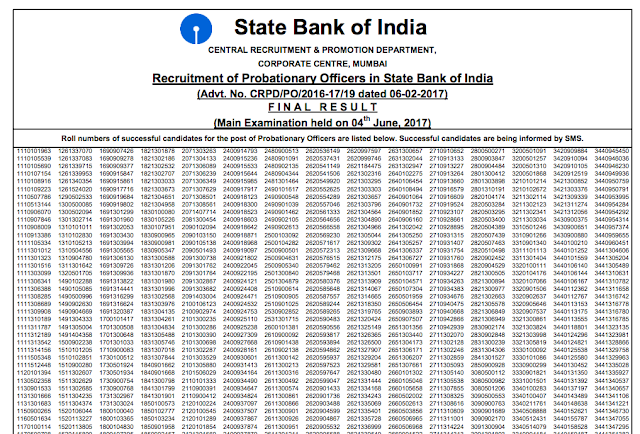 You may download the list of all successful candidates from the link provided below. Team Qmaths Congratulates all successful candidates.